Must have traits like time management, positive attitude, self motivated, passion for training, proactive, self driven, perfect dressing sense (Formals),Impressive behaviour with clients etc. 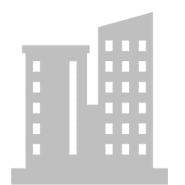 Investors Clinic is a global real estate consulting firm. Investors Clinic recruiting Senior Business Development Executive candidates nearby Noida.Investors Clinic vacancies for Senior Business Development Executive is recruited through Written-test, Face to Face Interview etc. Investors Clinic Company recruits a lot of candidates every year based on the skills Business Development, Field Sales. The candidates with ME/M.Tech, M.Com, BBA/BBM, BCA, MBA/PGDM, BE/B.Tech, PG Diploma, Diploma, B.Pharm, B.Com, BA, MCA are selected to full fill the vacancies in Sales / Marketing Executive job field. The candidates nearby Noida can apply for Senior Business Development Executive position in Investors Clinic. All candidates should have a degree or post-graduation in the required field based on the requirement mentioned. The jobs are available in Full Time basis. When it comes to the Investors Clinic recruitment, candidates are mostly chosen for the department of Sales / Marketing Executive . To learn more about the current jobs and other details, it is better to go through official site of Investors Clinic and Freshersworld. Find the latest jobs near you and near your home. So, that you don’t need to relocate. The Freshersworld is a leading employment portal that researches the official site of Investors Clinic and provides all the details about the current vacancies, the application process, selection process, interview test details, important dates and other information. Search and apply for the top job positions in Investors Clinic and near your city and get a secured career.